The Conference „Future of Crowdfunding“ took place on April 17th 2013 at the Chamber of Commerce in Berlin. It discussed the prospects of financing infrastructure projects and institutional funding in the arts through crowdfunding and crowdinvestment. Project manager: Karsten Wenzlaff. Michael Bogatzki is the CEO of Sellaband. 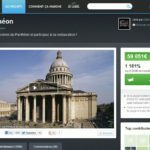 Sellaband was one the first crowdfunding sites in Europe and has been a leading crowdfunding example in the music industry. Steffen Boller is one of the founders and managing director of LeihDeinerStadtGeld GmbH from Mainz, which runs Germanyís only crowdlending portal for Civic Crowdfunding (www.LeihDeinerStadtGeld.de). 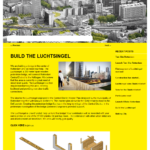 The Company also implemented a new platform regarding crowdlending for renewable energy projects (www.LeihDeinerUmweltGeld.de) and supports other crowdlending companies with white label software licensing. He will talk about Civic Crowdlending. 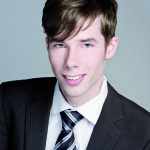 Dennis Brüntje is researcher at the Department of Media Management at the Ilmenau University of Technology. Together with his team he has conducted a wide range of studies related to crowdfunding, crowdinvesting and entrepreneurship. He has several years of experience in business financing, from establishing a venture capital company, his research and initiating a local start-up initiative. The Department advises and scientifically supports various crowdfunding platforms. Daniela Castratoro is co-founder and director of twintangibles, a Scottish-Italian research-led business advisory firm that helps organisations identify and create value and opportunities from the application of social and collaborative technologies. She is the Italian ambassador for the European Crowdfunding Network and she co-founded crowdfuture – The Future of Crowdfunding, the first crowdfunding conference in Italy. She is the Chair of the Italian Crowdfunding Network. 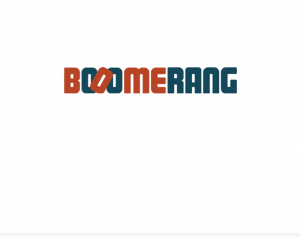 Michael Eis is the founder and CEO of crowdfunding platforms boooomerang.dk (reward) and crowdinvest.dk (equity) in Denmark. Since 2011 he has been workning on getting crowdfunding to all parts of Denmark – startups, creative communities and everybody else. Started in Denmark, but soon the be established in other EU countries – when the crowdfunding markets has matured. Plans are ready, but always looking for partnerships in the EU. Michael is a former banker, and have since 1997 been a part of the danish internet startup community. 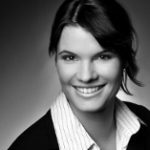 Christin Friedrich is a director of Innovestment GmbH, an auctionbased Crowdinvesting-platfom based in Cologne/Berlin. Since 2011 young companies raised 1.3 Million € private capital in 17 successful fundings. 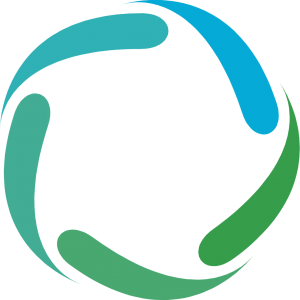 Innovestment is a founding member of the European Crowdfunding Network. Before she worked as a public sector management consultant in Berlin/Hamburg and co-founded a tourism startup in Reykjavík/Iceland. She studied Public Management & Governance at the Zeppelin University. 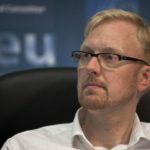 Oliver is co-founder and Chairman of the European Crowdfunding Network AISBL and initiated, coordinated and co-authored „A Framework for European Crowdfunding“. 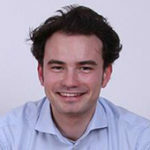 He is a Member of the Advisory Board Alternative Finance to the Junge Wirtschaft at the Austrian Chambers of Commerce. 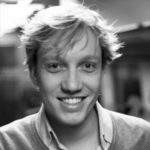 Oliver works as hands-on operational and strategy consultant on sustainable, innovative and open projects, start-ups and non-profits. 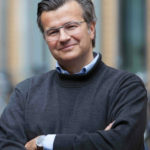 Oliver has worked with venture capital, microfinance, crowdfunding, technology and social entrepreneurship in commercial, non-profit and trade association settings in Europe and the USA – and started his career in the publishing industry in the early 1990s. He holds a Masters degrees from Solvay Business School and from the University of Hamburg and studied at SEESS (UCL) in London. Andreas Guba is the CEO of Sonnenrepublik. Wolfgang Gumpelmaier is one of the leading crowdfunding experts in Austria and currently curating the second crowdfunding-symposium for the Creative Region Linz & Upper Austria. He is the founder and CEO of Gumpelmedia, consulting startups and people in the creative industries in terms of Social Media and crowdfunding. 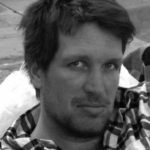 He has written numerous articles on the topic in his work for the Institut for Kommunikation in soziale Medien and is a well known speaker at various Film Festivals. 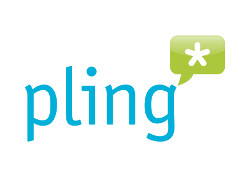 David Holetzeck is the CEO of TableofVisions and Founder of Pling. 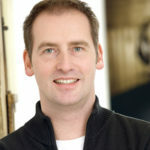 Ronald Kleverlaan is the CEO of Webclusive. 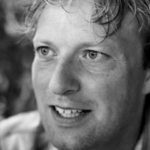 Gijsbert Koren is Managing Partner of Douwen&Koren, the leading crowdfunding consultant in the Netherlands. Douw&Koren executes (market) research, develops strategies and campaigns to support organisations in reaching their crowdfunding ambitions. 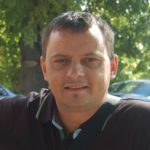 Karol KrÛl – CEO of Crowdfunding.pl Ltd., vicepresident of Polish Crowdfunding Society. 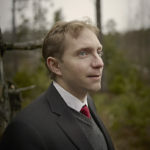 Konrad Lauten is the CEO of Inkubato. 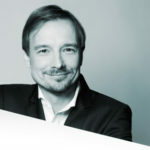 Oliver Lünstedt is the CEO of Carzapp. 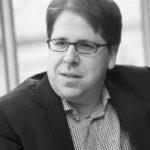 Jeff Lynn is CEO and co-founder of Seedrs, Europeís fastest-growing online platform for investing in startups and the worldís first regulated crowdinvestment platform. He is a qualified lawyer who began his career practicing corporate law with Sullivan & Cromwell LLP in New York and London, and he later served as co-chairman of the investment committee of a UK seed investment fund. He also currently serves as Non-Executive Director of Companies House and founding Chairman of The Coalition for a Digital Economy (Coadec). Jeff holds an MBA and a BCL (advanced law degree) from the University of Oxford, a JD from the University of Virginia and a BA from the University of Pennsylvania. Patrick Mijnals is the CEO of Bettervest – a crowdfunding platform for energy infrastructure. Epirot Ludvik Nekaj is the Founder & CEO of Crowdsourcing Week. In 2008, he created Ludvik + Partners – one of New Yorkís hottest boutique virtual ad agencies built on a 100% crowdsourcing model. Epirot is one of the pioneers in the crowdsourcing ad space, an industry expert and thought leader in entertainment advertising – including public relations, event production, experiential marketing, consumer advertising and digital marketing. 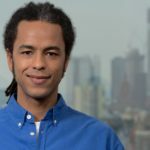 Epirot earned a BS in Advertising & Marketing from the Fashion Institute of Technology in NYC and has been a serial entrepreneur since graduation. His varied and global experiences throughout his career have taken him across the US and Asia, where he honed his skills in advertising and media with high-profile clients and power brands. Raphi Otten is CEO and co-founder of United Equity. United Equity is an equity based crowdfunding platform targeting the „Deutschen Mittelstand“ (medium-sized enterprises in Germany). Dr. Peer Piske is next to Martin Müller one of the two founders of crowdEner.gy, Germanys first crowdfunding platform enabling crowdinvesting for renewable energy plants. Since 2004 Dr. Piske inherited several leading positions within the renewable energy market. For example he was in the leadership of KPM Sun and GreenAsset. Under his leadership GreenAsset developed the Beneixama-Solarplant in Spain in August 2007. With 20 MWp this Solar plant is one of the biggest solar plants ever realized. His focus lies upon the departments legal and financing within crowdEner.gys organization. 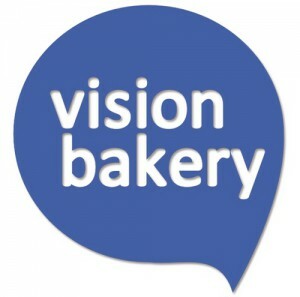 Stephan is the founder and CEO of visionbakery – a reward-based crowdfunding platform based in Leipzig and Berlin. He also supported the development of the crowdinvesting platform BerlinCrowd. 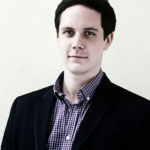 David Rhotert is the co-founder and co-managing director of Companisto. The Berlin native studied law at Freie Universit‰t Berlin, served as a scientific assistant at the Deutsche Bundestag, before joining the legal team of a German corporation in Beijing. While working for two international law firms David specialized in corporate law and mergers & aquisitions. After graduating from Freie Universit‰t Berlin, he worked as a lawyer and specialized in advising startups. In 2001, at age 21, David and Tamo joined forces to launch their first startup, partycard, which they successfully managed until it was sold in 2005. Adam Rice is a U.S.-born international sales and marketing executive with over 12 years of experience in developing marketing strategies for both domestic and international businesses. 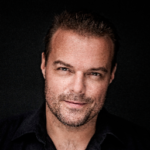 In 2004, he moved to Berlin and in 2008, he became European Managing Director for a large London-based online retailer of yoga accessories. After a 2-month trip to India in 2010, Mr. Rice came up with the idea for eTukTuk, which combined his knowledge of marketing and promotions, with his love and commitment to sustainability and conscious business practices. .
Tobias Riethmüller is a German qualified lawyer. 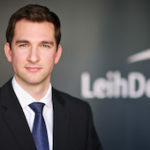 After working with an international firm in the areas of corporate and capital markets law, he now practises with GSK Stockmann + Kollegen, one of the leading German corporate and real estate law firms which also focuses on banking/finance and public law, in Frankfurt am Main. Tobias holds a PhD in corporate law and a master’s degree in economics. He will talk about prospects for crowdinvesting regulation. 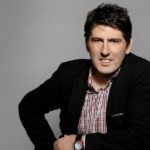 Fabien Risterucci is a consultant and active member of the French Crowdfunding professional association, Financement Participatif France (FPF). 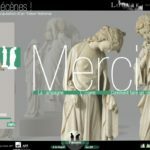 He has conducted research on Crowdfunding since early 2011, co-launched the discussion group Crowdfunding for Europe and is taking part to FPF’s various actions including the organisation of „Tour de France“ day events in Paris, Limoges, Poitiers. Passionate about disruptive innovation and entrepreneurship, he has several years of experience in Europe and Asia in international business development, economic development and investment attraction. He holds Master’s degrees in Political Sciences, in Business Administration, in Competitive Intelligence, and a recent training in Microfinance. 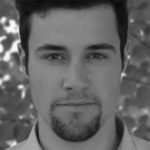 Guido Sandler is founder and CEO of BERGF‹RST, an innovative equity crowd investing platform, which gives private investors and startups the chance to give and receive financial investment, while allowing investors to directly participate in the growth of the specific enterprise via shares. Additionally, investors can trade their startup shares freely on BERGF‹RST’s exclusive online marketplace. Guido Sandler has revolutionised the finance industry with innovative concepts before: As the founder of the investment bank Berliner Effektenbank AG (1998) and of the E*Trade Bank AG (1999), which specialised in online discount brokerage. Dana Schramm is Head of Corporate Communications at Seedmatch. She holds a Master’s degree in Communication Management from the University of Leipzig and a Bachelor’s degree in Communication Science from the Technical University of Ilmenau. During her studies she worked for several communication consultancies, as an intern for CNBC, Paris, and as an assistant researcher at the Institute of Communication and Media Studies, University of Leipzig. Within her job at Seedmatch she focuses on strategic communication, social media and media relations for Seedmatch as well as for start-ups in various industries. 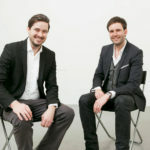 Seedmatch is the first and leading crowdfunding platform for startups in Germany and was launched in August 2011. She will speak about the Benefits of Crowdfunding Campaigns with a long funding period. As researcher at the Department of Media Management at the Ilmenau University of Technology, Anja Solf works on topics within the fields of media and communication management. 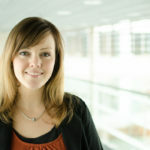 Her current research investigates the role of creativity in co-creation processes. Besides motivational orientation and expertise she analyses the setting of platforms for creative idea management. 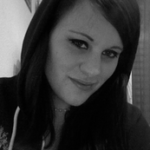 Together with her colleagues she also works on synergetic topics such as ëconsumer integration in digital gamesí. Max Valentin is a cultural producer and innovator in the field of participatory culture its links to technology, human interaction and learning. Max among other things run www.crowdculture.se a hybrid economical on-line platform mixing crowdfunding investments with public funds. 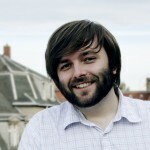 Parallel with the platform development he does cultural policy studies and produces multiple platform games for learning. His heart beats for the creation of an environment where people co-create stories and artistic output. He believes that when the laces are woven together between the different initiatives there will be a great blast. 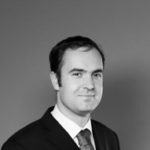 Raban von Buttlar is lawyer with special expertise on media law and patents law. 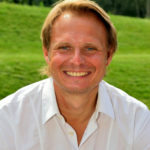 Karsten Wenzlaff is one of the co-founders of ikosom – Institut f¸r Kommunikation in sozialen Profilen. He has conducted research on Crowdfunding since 2011 – having published the first crowdfunding survey in Germany. 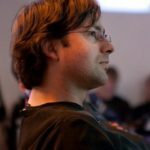 He is also co-author of the first Crowdsourcing Report in Germany. He has a BA in Philosophy & Economics and a MPhil (cantab) from the University of Cambridge. Christian Wiesenhütter ist the Deputy Chief Executive Officer of Chamber of Commerce and Industry Berlin. 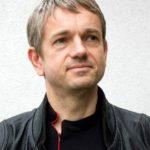 From 2002 to 2012 he has been the Director of Urbanicom – a German Non-Profit for City Development and Trade. Reinhard Willfort holds a doctorate degree in Innovation- and Knowledge-Management. 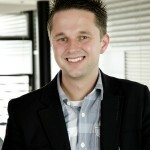 He is Founder and CEO of ISN – Innovation Service Network, Austrian’s leading innovation company. 2008 he started Austrian’s 1. Crowdsourcing platform www.neurovation.net. In 2012 with www.1000×1000.at he established the 1. 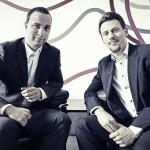 Crowdinvesting platform in Austria. 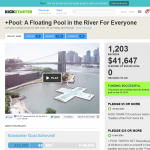 1000×1000.at is founding member of the European Crowdfunding Network. 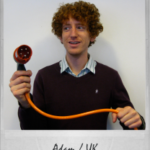 Adam Woolway is the CEO of Plugsurfing. 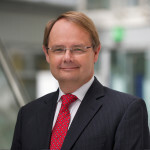 Robert Koch is a sales manager of the Volksbank S¸d-Oststeiermark (Austria). 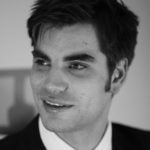 He wrote his thesis in 2012 on the connection between cooperative banks and crowdinvesting and the possible combination of the two. 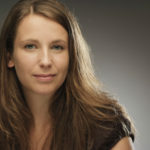 Svenja Mahlstede is the author of the first comprehensive analysis of Music Crowdfunding in Germany. She holds a Bachelor degree from the Popakademie Baden-W¸rttemberg and is currently pursuing her Master of Creative Industries in Mannheim. Other fields of interests include new business models within the music business and film music licensing and financing. She currently interns at Sony Music Publishing in Berlin. Claudia Pelzer is founder of the German Crowdsourcing Union and publisher of the Crowdsourcing Blog. 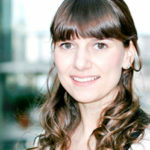 She is also Co-Author of the first Crowdsourcing Report 2012.